The Going-To-The-Sun Road is a spectacular road that winds through the high country of Glacier National Park, along very precipitous slopes. 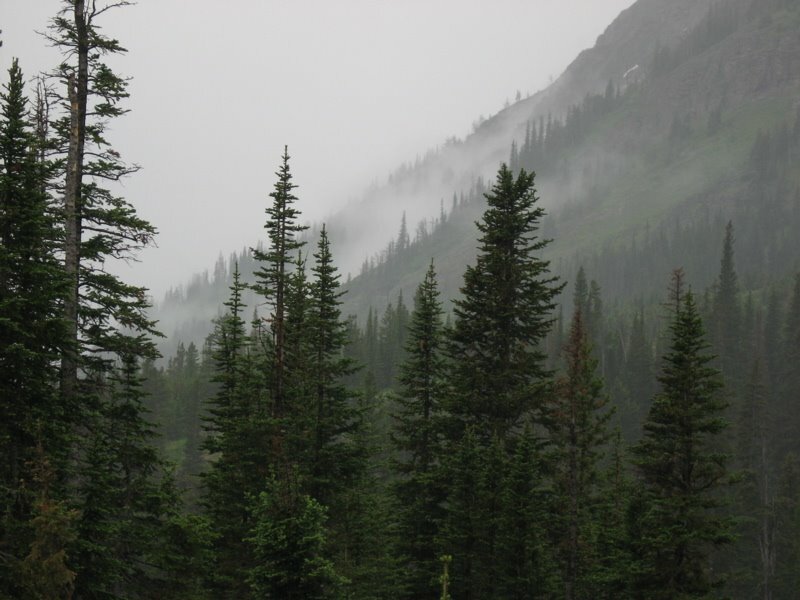 A cold and stormy day, the peaks were enshrouded in clouds, giving everything an ethereal, gray appearance. 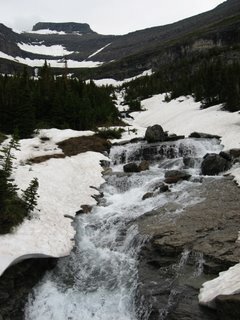 Waterfalls thundered off the glaciers, tunneling under snow and then emerging again some distance down the mountain. It opened very late this year, much later than the usual June opening. 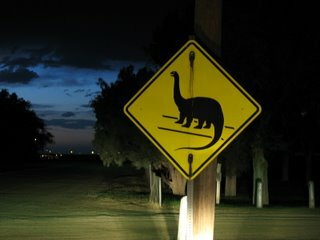 We drove up shortly after the road opened. 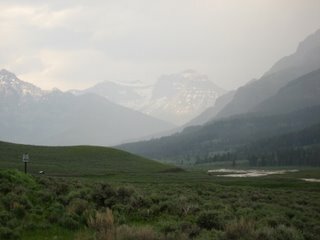 A storm rolled in during my last night at Two Medicine. Lightning flashed above the mountains, the boom of thunder reverberating in the valley. Rain drummed on the tent fly, one of my favorite sounds. 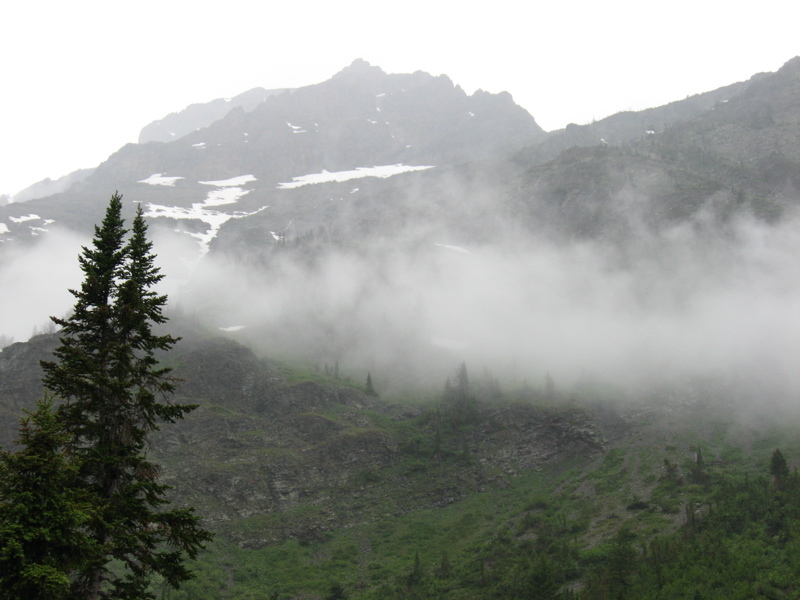 In the morning, mist filled the valley, drifting by the lower peaks, obscuring the higher ones. 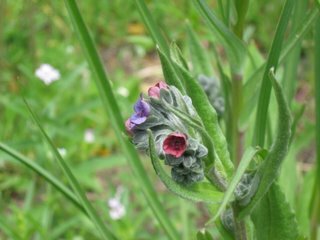 It was a completely different Two Medicine, all magical, soft grays. Ah, the bear-proof food locker. At last I am home. 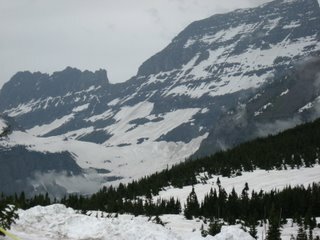 I've longed to return to Glacier National Park, so I was elated to enter the park once again. 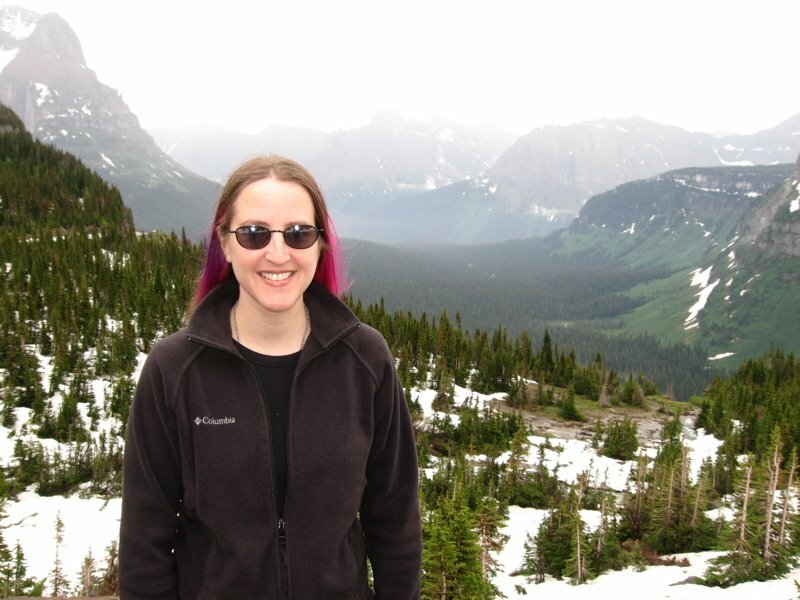 This spectacular mountain park is the setting for my novel Voracious. 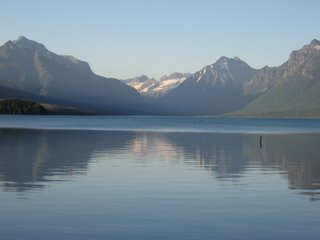 One of the first things I did was visit many of the places my novel is set in, including Lake McDonald on the park's western side. We scored an amazing spot at Two Medicine, a campground I've never stayed in before. 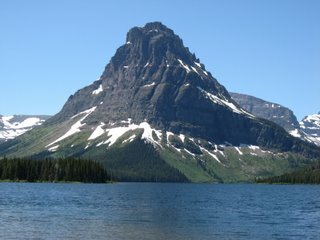 It lies at Two Medicine Lake, amid jagged peaks covered in snow. We walked along the lake shore, feeling the cool breeze coming off the water. 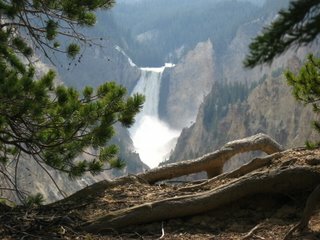 In the Grand Canyon of the Yellowstone, an incredible vista overlooks the Lower Falls of the Yellowstone River. It has inspired many artists, including my favorite watercolor artist, Gunnar Widforss. I stood out on the point, looking down into the narrow canyon as the white water river streaked by. The falls roared, the sound carrying down to my location. 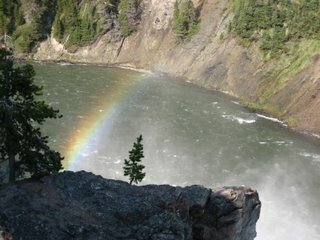 We then walked out on top of the falls themselves, where a rainbows formed in the tremendous clouds of mist spilling up from the canyon floor below. 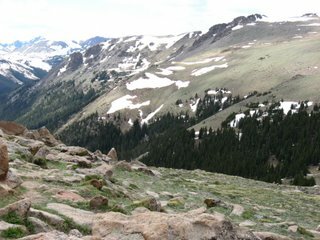 We sat out in a spot where members of the Druid Peak wolf pack often pass through. A few other wolf enthusiasts were out there with spotting scopes and binoculars. Soon after we set up our binocs, a lone black wolf approached. 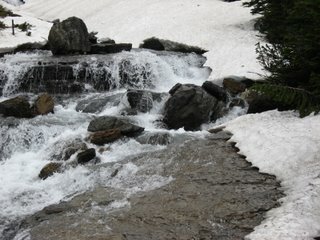 It loped along the Soda Butte Creek, past some pronghorns and a few bison. Then it crossed the stream and ran up a hill out of sight. 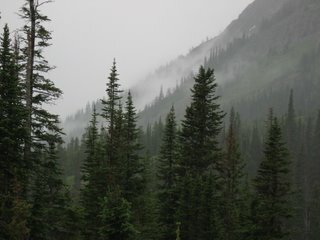 A storm started rolling in across the Absaroka Mountains, turning their browns to a misty grey. The clouds descended into the valley as the rain hit us. Not twenty minutes later, a second black wolf came loping along. 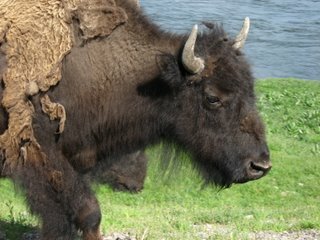 She walked close to a bison, who was having none of it. She playfully ran up to him, then backed off when he looked at her with no concern whatsoever. 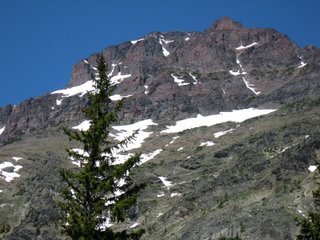 She ran down along Soda Butte Creek, farther down than her pack mate had. She passed the two pronghorns, too, and decided to chase them. The pronghorns ran, quickly outpacing her. She returned to her route, loping across the stream. In the middle of the water, though, she stopped, and began pouncing up and down. When she emerged on the other side, she clasped a tremendous fish in her jaws. She padded happily up the hill and out of sight like the pack mate. 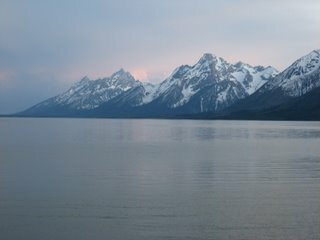 We departed Grand Tetons National Park and drove north into Yellowstone National Park, that wild and wonderfully woolly place home to grizzlies, wolves, black bears, pronghorns, sandhill cranes, trumpeter swans and so much more. 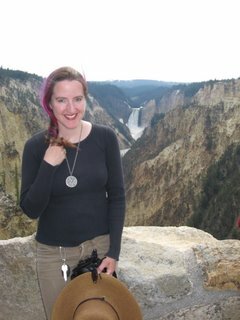 Most people come to Yellowstone to see the magnificent volcanic features -- the geysers, pools, and hot springs. 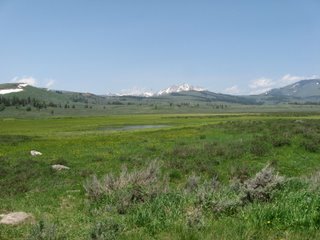 The smell of volcanic activity was thick in the air through parts, and we continued north to Lamar Valley, the most fantastic place in the park. You know that scene in Snow White where she starts singing and all the birds and forest animals come out? Squirrels and birds and chipmunks? 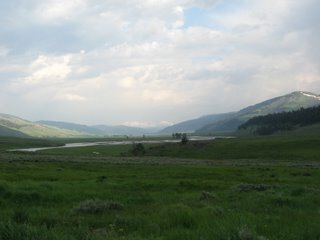 Well, getting out binoculars in Lamar Valley is the equivalent of Snow White bursting into song. Point your binocs to just about any spot, and you'll see wolves, grizzlies, bison, sandhill cranes, beavers, pronghorns, bighorn sheep and coyotes. It's incredible. An elk carcasses was there our first day, with several grizzly bears vying for the meat. At last one victor remained and began eating his dinner, only to be beset by ten huge ravens. Every time he turned his head, a raven would swoop down on the other side and grab some meat. The grizzly was getting pretty frustrated, rearing up at the ravens. Then a lone wolf approached the kill, and the grizzly stood up on his hind legs, eyeing the wolf. The grizzly slammed down onto his forepaws, chuffing, and the wolf streaked off in the other direction. 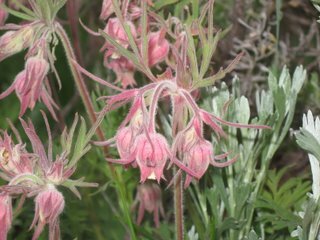 Some amazing patches of Old Man's Whiskers (also known as Plumed Avens) grew along the trail. 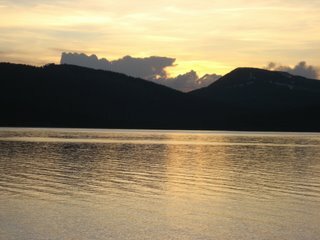 We watched a magnificent sunset over the lake, setting the water aglow. A breeze blew across from the jagged peaks, rippling the water slightly. A flock of pelicans flew low over the water, their wings almost touching the lake's surface as they glided away. 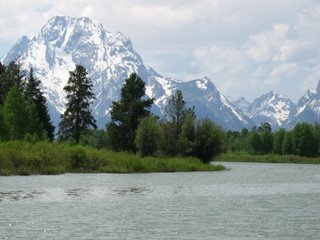 We've now driven north to Grand Teton National Park, where the spectacular, jagged peaks rise dramatically out of the flat plains. 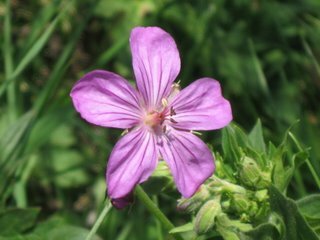 The wildflowers here are spectacular! 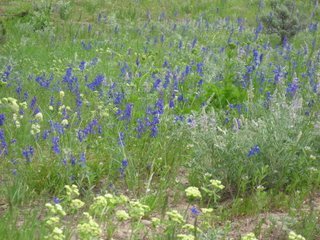 Fields of gold, purple and pink amid the green of sagebrush. 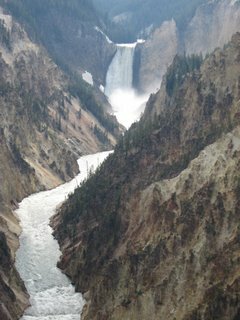 Just south of Grand Teton National Park rumbles the magnificent Popo Agie (pronounced po-po-zsha) River. 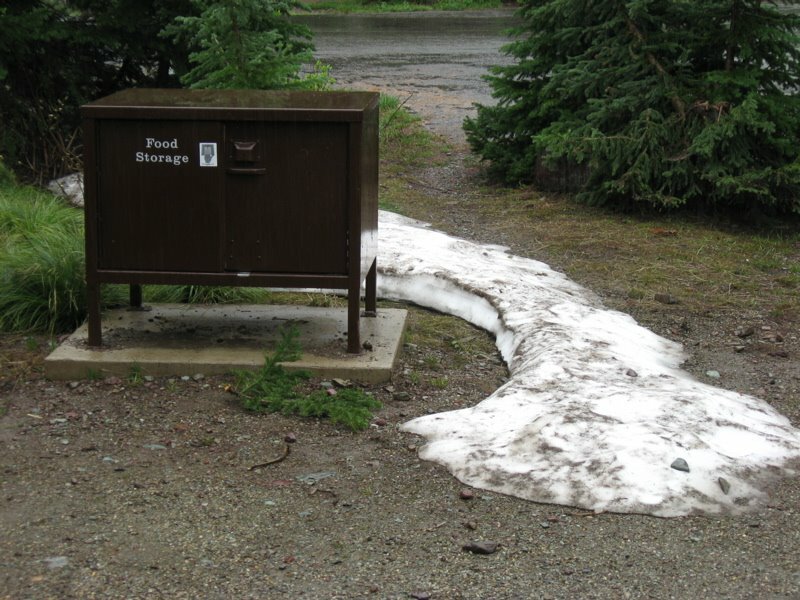 Right now it roars by, all the glacial meltwater causing it to spill over its banks. The Popo Agie plunges into the yawning dark mouth of a cave, only to reemerge half a mile away. 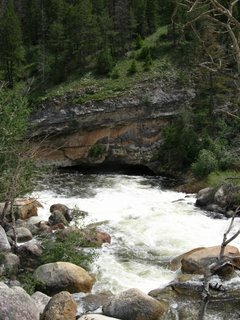 I watched as the churning white water vanished into the cave, then hiked to the point where it rises back to the surface. There plumes of mud in the clear water betrayed the force with which the water bursts forth from inside the earth. What a gorgeous park, full of snowcapped peaks, and numerous hikes through the alpine zone, up above the treeline. 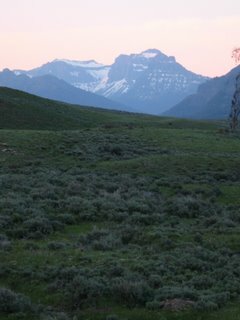 I watched a herd of elk crossing a snowfield. 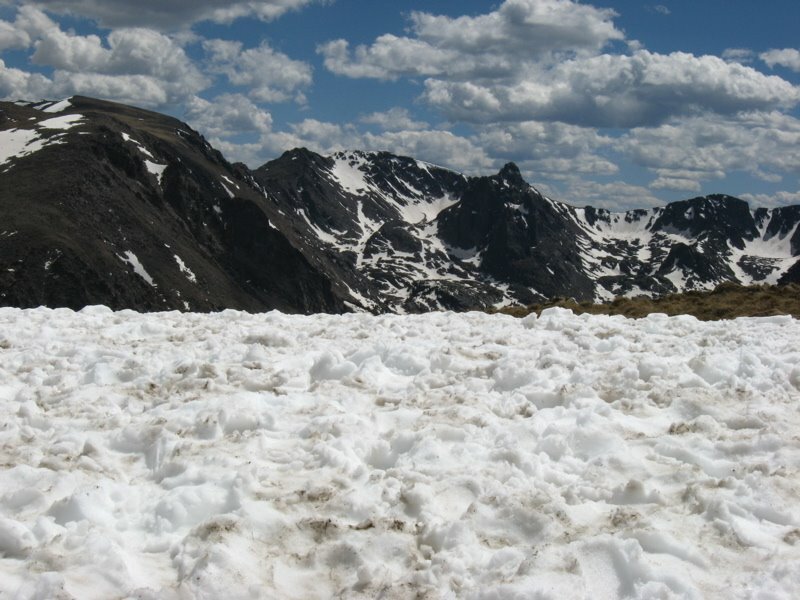 A baby with them was frolicking and leaping, sliding around on the snow and jumping up again, having a great time. 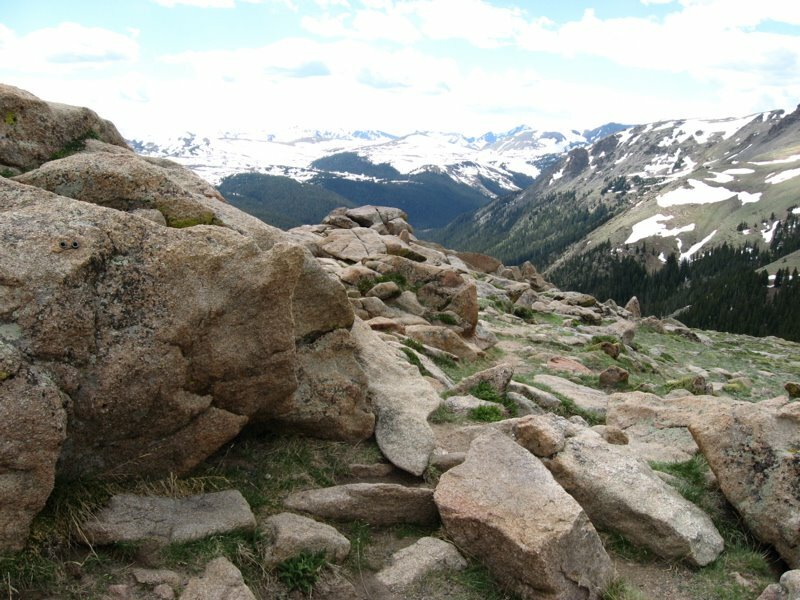 A yellow bellied marmot crawled up onto a sun-warmed rock and lay down, one elbow propped up under his chin. Pikas ran back and forth, stuffing their mouths full of greenery and darting back to their hiding places in nearby rock slopes. Huge dark clouds billowed and formed above me as I stood at over 12,000 feet. But none turned into thunderstorms; they just drifted slowly over the high country. On my second day at the Stanley, I went on the ghost tour. 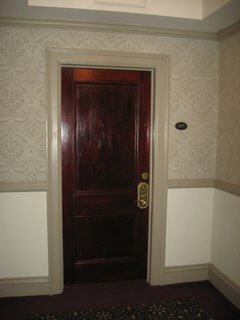 We went to room 217, where Stephen King stayed the night and conceived the seeds for the Shining. 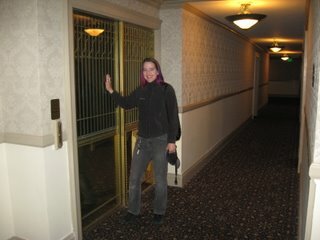 We explored the fourth floor, where I'd gotten so creeped out the night before. 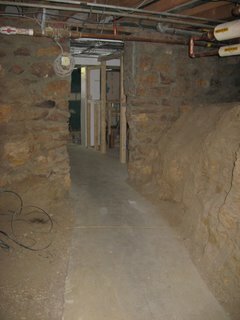 And we even walked through the tunnels beneath the hotel, where tree trunks still rise out of the cement foundation, and where the ghost of a little girl has repeatedly been heard playing. 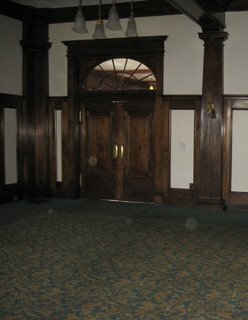 During the tour I learned that hearing mysterious piano music issuing from the Music Room is common, and that the fourth floor has the most reported unexplained events. I took more photos, many of which had glowing orbs. I was wearing out my poor, wonderful parapsychologist friend in San Francisco by calling him every ten minutes with yet another spooky story. It was an incredible stay in a spooky and inspiring place. I worked on my current novel quite a bit there, sitting in a ballroom that stood completely empty. 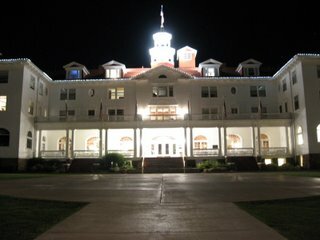 The hotel looked incredibly haunting at night. 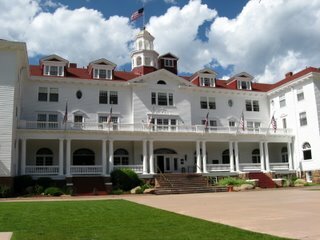 I just arrived at the Stanley Hotel in Colorado, aka The Overlook Hotel from Stephen King's novel The Shining. He stayed here and was inspired to write his work about Danny Torrance and the ghosts of this massive hotel. A sprawling, gorgeous structure completed in 1909, the Stanley Hotel sits in a stunning location in the Rocky Mountains, with huge rock outcroppings rising behind it and the snowy peaks of Rocky Mountain National Park before it. 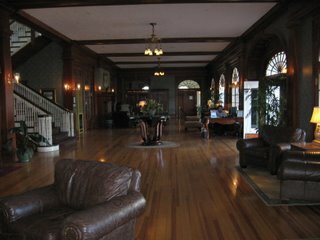 I walked up the steps onto the huge porch and entered the hotel. Already I was enchanted. Dark wood paneling, distant strains of swing music playing -- I found myself feeling at home. 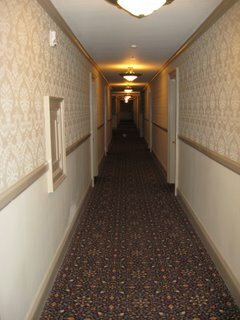 After checking in, I explored the hotel, taking photo after photo of rooms and hallways. Later, as I uploaded my pictures, I noticed glowing orbs in a number of the photos. I walked around on the fourth floor, with its low ceilings and smaller rooms indicative of its servants' quarters origins (though now it's a guest floor). It was creepy up on that fourth floor. 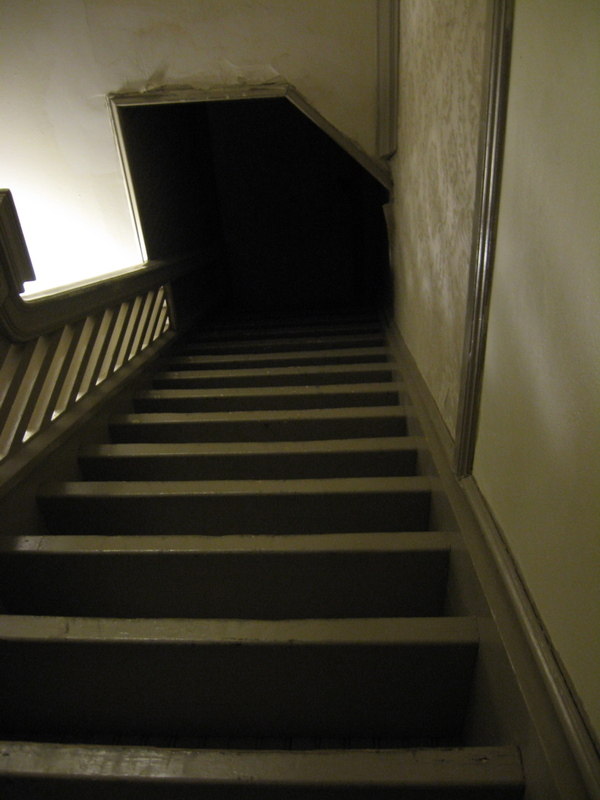 I paused outside room 401, where a narrow set of stairs rises to the bell tower. I could hear people talking up there and walking around, only to later learn no one is allowed up there. 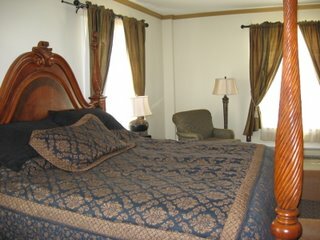 Perhaps it was voices echoing from elsewhere in the hotel? 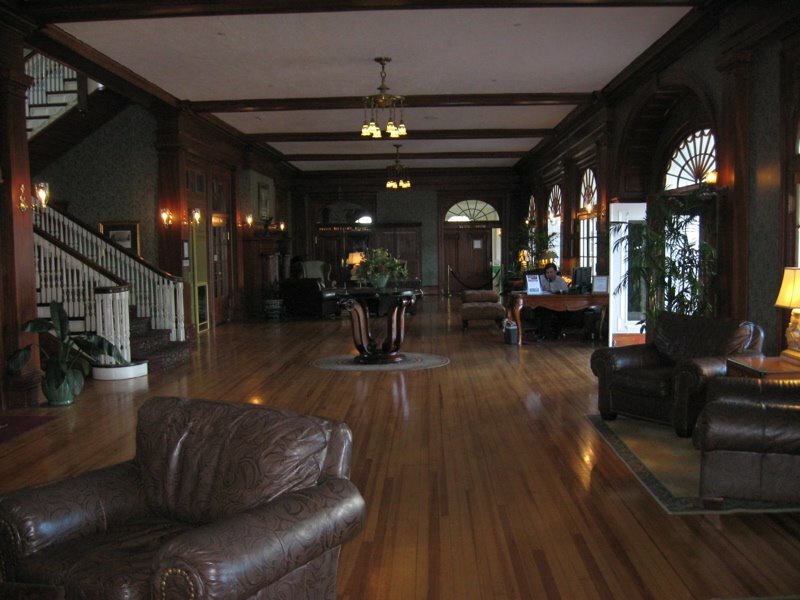 Later that night, I was standing in the billiard room, I heard three loud discordant notes coming from the piano in the next room, The Music Room. 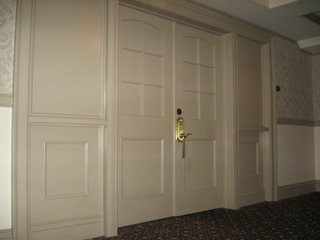 Though it has a grand piano, the room was closed off to everyone in preparation for a wedding reception the next day. No one was in there. We drove on, taking our lives into our own hands. 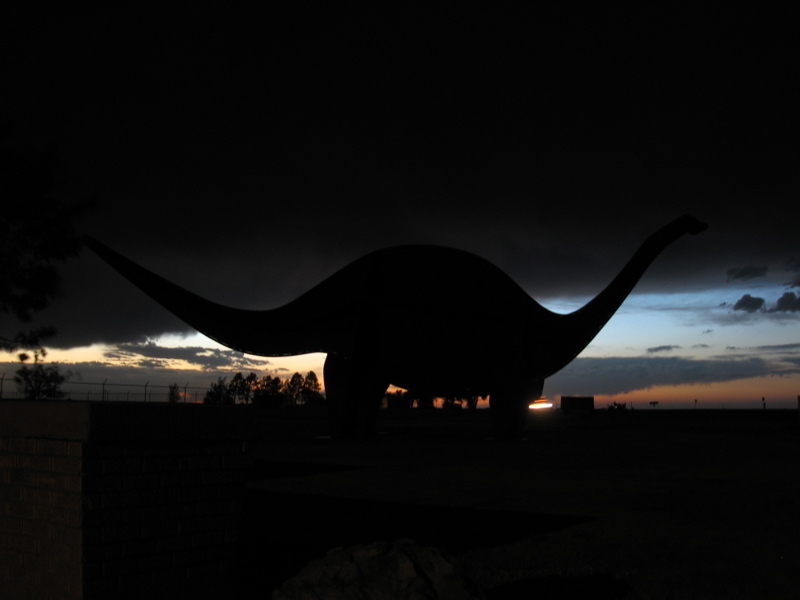 Then looming up before us in the dark, silhouetted against the gold of the setting sun, stood the creature, only partially visible in the gloaming.